Indoor rock climbing is an excellent workout for both the mind and body. A perfect test for both endurance and strength, climbing engages and works most of your muscles simultaneously. 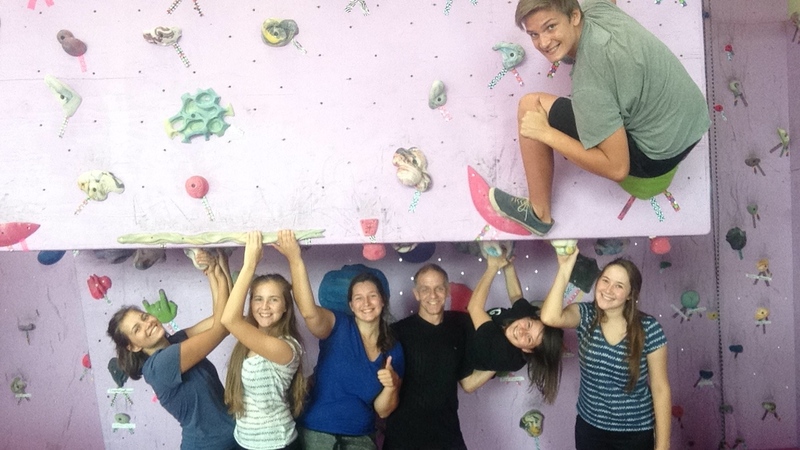 Although our bouldering/rock climbing wall is small in comparison, it has something for everyone! We have routes that are set for the beginner climber and upside down inverted routes that will challenge even the best of climbers. Climbing is an exciting and relatively new sport that is challenging and builds self-confidence. It’s a sport that is fun and safe for all ages. If you are new to this sport, be sure to schedule an introductory meeting/class with one of our trained staff.